Global investment firm, KKR, announced that they will be investing in the wireless infrastructure businesses managed by Associated Partners, L.P. KKR has made investments in PEG Bandwidth, AP Wireless, and AP Towers. "The need for wireless infrastructure will continue to be driven by increases in wireless data usage that is overwhelming existing network capacity," said Raj Agrawal, KKR's Head of North American Infrastructure. "We are excited about the opportunity to partner with Associated Partners to grow this premier set of businesses with critical telecom infrastructure assets." The demand for wireless is only increasing, which is driving substantial investments in the wireless infrastructure business. PEG Bandwidth designs, builds and operates Ethernet backhaul networks connecting wireless communications towers to the data fiber backbone, principally in rural geographies. AP Wireless acquires interests in cell site ground and rooftop leases in the U.S. and internationally. 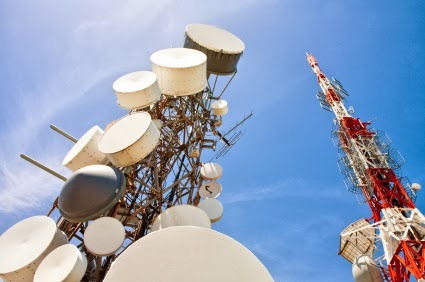 AP Towers develops new wireless telecom towers and purchases towers that are currently operating. "As the shale revolution is driving the growth of natural gas pipelines to transport molecules, the advent of the smart phone is driving a similar wireless explosion to transmit electrons. Wireless communication networks are an essential component of the nation's infrastructure," said Scott Bruce, Managing Director of Associated Partners, L.P. "We are excited to have KKR partner with us as we expand our businesses." This transaction represents KKR's eleventh infrastructure investment overall and fifth in North America since 2010. Read the rest of our newsletter by subscribing at InsideTowers.com. Marking the one year anniversary of Hurricane Sandy, FCC Chief of the Public Safety and Homeland Security Bureau David Turetsky, shared how the FCC is working towards building a more resilient communications network. Approximately 25% of the cell sites weren’t working during Hurricane Sandy and the FCC’s eyes were opened to the importance of having a reliable network. “The Commission recently proposed rules that would require wireless service providers to publicly disclose the percentage of cell sites within their networks that are operational during and immediately after disasters. The concept is simple: by providing consumers with a yardstick for comparing wireless performance in emergencies, this proposal could empower consumers and in turn create competitive incentives in the wireless industry to improve network reliability,” Turetsky explains. He also noted that the FCC is seeking public comment on this approach. The reasoning behind this proposed rule is to improve the reliability of the networks that are used to originate most 911 calls. Many people are disconnecting their landlines and switching their phone service to their mobile provider, making it difficult for emergency service providers to locate callers as quickly as they could before. “Also this year, the Commission proposed measures to improve the reliability of the wireline facilities that are needed to complete 911 calls, especially during disasters. More specifically, the Commission proposed rules to ensure that the wireline network providers that route calls to 911 call centers implement vital best practices in network design, maintenance, and operation,” Turetsky said. What Makes Property Suitable for Cell Towers? Vertical Assets, a communications tower construction company based in Atlanta, was denied a permit to construct a cell tower in Panama City, Florida. The 150-foot tower was planned to be erected on West 19th Street and Florida Avenue. However, the Panama City commission unanimously rejected the proposal for the tower saying that there were safety and neighborhood compatibility issues. Vertical Assets has taken this matter to the federal court because they believe the city discriminated against their proposal and they violated the federal Telecommunications Act. Another company was permitted to construct a similar tower three years ago without having to get the city commission to approve it. Vertical Assets’ tower would have AT&T as its main carrier but they would allow emergency agencies to use the tower at no cost. Lowell McAdam, Verizon chairman and CEO, said: "These strong third-quarter results reflect Verizon's long-term investment in reliable, high-quality networks to deliver value to customers. Our unwavering focus on wireless, FiOS and strategic enterprise services has produced consistent performance, and we've delivered double-digit earnings growth in six of the past seven quarters. Verizon's strategic networks form a powerful distribution platform for future growth and innovation." Verizon reported $0.78 earnings per share in the third quarter compared to the $0.56 EPS they reported in the third quarter of 2012. Third-quarter 2013 results include a non-operational gain of 2 cents per share related to the sale of wireless spectrum, partially offset by 1 cent per share in incremental interest expense related to the financing of Verizon's planned purchase of Vodafone Group PLC's 45 percent stake in Verizon Wireless. This week, CTIA—The Wireless Association hosted MobileCON 2013 in San Jose, California. MobileCON is a mobile IT and enterprise event designed for the IT executives and professionals. During this event, the CTIA announced their 2014 Board of Directors. "CTIA's members provide U.S. consumers with the world's best wireless service and consistently make significant investments in the U.S. economy. Among the 2014 Board of Directors' goals is to make certain the U.S. wireless industry remains the world's leader in innovation so that Americans continue to benefit from wireless telecommunications. One of the key components to this is making sure more spectrum is made available for commercial wireless use. By working together and with the expert guidance of our board, CTIA will work diligently to ensure appropriate public policy that recognizes the need for the U.S. wireless industry to remain the best in the world," said Steve Largent, President and CEO, CTIA. • Charles Townsend, President and CEO, Aloha Partners II, L.P.
• Dr. Guy (Bud) Tribble, Senior Vice President for Software Engineering, Apple, Inc.
• Ron Smith, President, Bluegrass Cellular, Inc.
• Jay Shedd, President and CEO, DOCOMO PACIFIC, INC.
• Angel Ruiz, President and CEO, Ericsson Inc.
• Mike Woodward, President, Emerging Devices, HTC America, Inc.
• S. Douglas Hutcheson, CEO and Director, Leap Wireless International, Inc.
• Matt Rothschild, VP Sales and Marketing, Americas, Nokia, Inc.
• Peggy Johnson, EVP and President of Global Market Development, QUALCOMM, Inc.
• Gregory Lee, President and CEO, Samsung Telecommunications America, L.P.
• F.J. Pollak, President and CEO, TracFone Wireless, Inc.
LBA Group, Inc., who provides RF consulting and program management services to a wide variety of clients, is celebrating their 50 year anniversary as a global provider of Radio Frequency asset solutions. 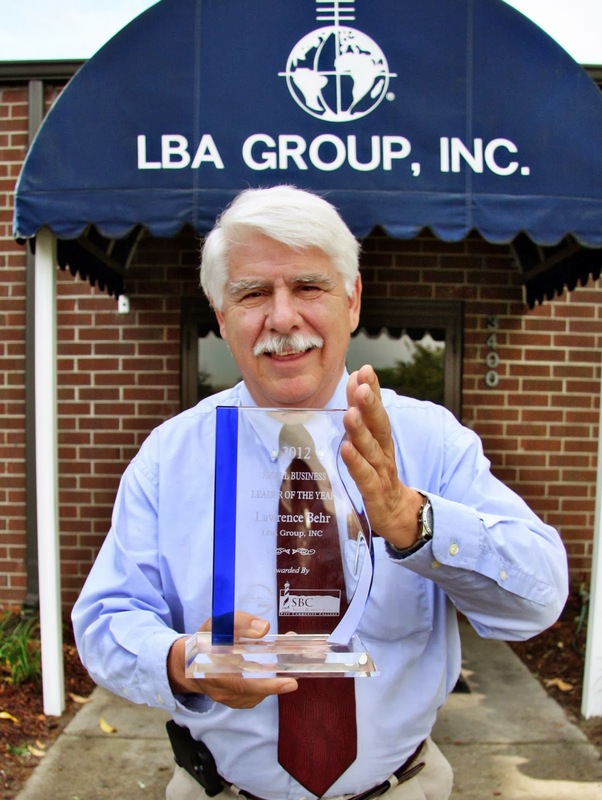 The LBA Group began as Lawrence Behr Associates back in 1963 and has been based out of Greenville, North Carolina ever since. When LBA Group, Inc. first began they focused on providing consulting services in the radio/TV spectrum business along with consulting on other RF issues. “Today the focus more and more is on how we live with RF devices that are increasingly surrounding us, so that’s why we are putting our emphasis in this area of RF risk management,” added Behr. Since the company began, LBA has added LBA Technology, Inc., the manufacturing unit of the company and most recently LBA University, Inc., providing online and on-site safety training. Earlier this year, the Greenville-Pitt County Chamber of Commerce honored Behr with the Small Business Leader of the Year Award. “LBA also plans to continue growing and improving its expert consulting services to the wireless industry in the areas of regulatory compliance and interference remediation. Safety, compatibility, interference and security are all critical as it becomes more challenging than ever to address RF issues in an ever changing mobile world,” LBA Group explained in a press release. LBA Group, Inc. has 50 years of experience in providing RF asset solutions and risk management for industrial and telecommunications infrastructure assets. They also post some pretty awesome pictures on Facebook! A few weeks ago 1 Source Wireless announced their expansion into the Midwest exceeding their initial projections, easily securing them a $5 million capital commitment based on proposed future build-out expansions through 2015. Today, 1 Source Wireless announced that they have secured $10 million financial capital commitment for the proposed plans. The company is continuing to build on the successful execution by 1 Source’s management team of its 2013 tower to market goals and further exceed initial projections into the 2014-2015 build and expansion plan. 1 Source Wireless specializes in the development of wireless tower communication facilities. They have participated in the development of over 350 tower sites nation-wide over the past 15 years. Some of their services include: site identification, site acquisition, regulatory and compliance, planning and zoning, architectural and engineering, maintenance and repairs, as well as construction. The parents of students at Poinciana Elementary School in Collier County, Florida have three weeks until Sprint’s 75-foot tower will be turned on. In those three weeks they are determined to convince Sprint to move the tower to another location away from the school. There is now a sign hanging on the cell tower warning people to stay away from it because the radio frequency emissions may exceed exposure limits. But the FCC, even though they aren’t technically working right now, still have rules in place to limit the amount of RF emissions so people in close proximity to the tower aren’t affected. Parents gathered at a school board meeting last night to discuss the tower but there’s nothing that the school board can do because Sprint operates the tower and doesn’t want to move it. If Sprint does agree to relocate the tower, it could cost at least $200,000, and it’s still an issue of who would pay for it to be moved. What Problems Could the Connected Car Cause Cell Phone Towers? Many wireless carriers such as AT&T and Verizon, along with many insurance companies, have started campaigns to urge people to not text and drive. The Connected Car aims to lower the rate of texting and driving while bringing you access to more wireless technology while you are in your car. Iain Gillott of iGR discussed the features of the Connected Car in a webinar yesterday. The Connected Car would have a built-in LTE connection to the macro network that can connect to a Wi-Fi hotspot that is within the vehicle. Passengers will be able to access a wireless signal over the LTE connection. Gillott noted that, “We spend a lot of time in our cars as a society.” He says in the webinar that approximately 20% of Americans spend more than 60 minutes per day in the car. While having access to technology like this on the road seems like a fantastic idea, what will it do to our networks and macro sites? “In-car data use increases bandwidth demand at peak network times and it adds to the network congestion problem,” Gillott explains. Because the vehicle is moving, small cells will not work for cars so our macro networks will become congested. This is a challenged that supporters of the Connected Car face. Although this new technology is an opportunity for our mobile network infrastructure to grow, it’s not always easily achieved. It’s possible that our networks will be slow and over-capacity because of the Connected Car before more cell sites can be built to accommodate the influx in demand. SBA Communications and American Tower Corporation announced today that they will be announcing their 3rd quarter earnings within the next few weeks. SBA will release their results on Monday, November 4th after the market closes and they will host a conference call on Tuesday, November 5th at 10:00am to discuss the results. SBA Communications Corporation is a first choice provider and leading owner and operator of wireless communications infrastructure in North, Central and South America. By "Building Better Wireless", SBA generates revenue from two primary businesses - site leasing and site development services. SBA's primary focus is the leasing of antenna space on its multi- tenant towers to a variety of wireless service providers under long-term lease contracts. American Tower will announce their 3rd quarter results at 7:00am on Wednesday, October 30, 2013. Their conference call will be held at 8:30am that same Wednesday to discuss the results. American Tower is a leading independent owner, operator and developer of wireless and broadcast communications real estate. American Tower currently owns and operates over 61,000 communications sites in the United States, Brazil, Chile, Colombia, Costa Rica, Germany, Ghana, India, Mexico, Panama, Peru, South Africa and Uganda. 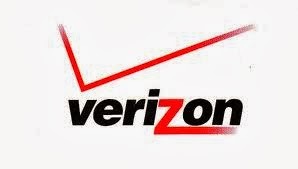 Tomorrow, October 17th, Verizon Communications will report their third-quarter earnings. Executive Vice President and Chief Financial Officer Francis J. Shammo will present results on a webcast beginning at 8:30 a.m. Eastern time. Access instructions and presentation materials, including Verizon's earnings release, will be available at7:30 a.m. on Verizon's Investor Relations website, www.verizon.com/investor. Verizon Communications is the world leader in delivering innovation in communications, mobility, information and entertainment. We provide superior broadband, video and other wireless and wireline services to consumers, businesses, governments and wholesale customers across the globe. Today Ruckus Wireless announced that it had been named a leader in the “IDC MarketScape: Worldwide Enterprise WLAN 2013-2014 Vendor Analysis.” This study looked at a variety of vendors that are part of the wireless LAN (WLAN) market. Ruckus Wireless is a global supplier of advanced wireless systems for the rapidly expanding mobile infrastructure market. “This IDC MarketScape assessed the enterprise wireless LAN market through the lens of indoor WLAN infrastructure, with an emphasis on the current 802.11n standard and various deployment architectures. Capabilities and strategies for the emerging 802.11ac standard also played a role in IDC's analysis, as did offerings in the service provider WLAN space for cellular offload and managed services. IDC projects the worldwide market for enterprise wireless LAN equipment will grow from $4.6B in 2013 to over $7.8Bby 2017, with the biggest gains coming within the service provider and education sectors,” Ruckus Wireless explained. Ruckus Wireless offers a wide range of indoor and outdoor products to mobile carriers, broadband service providers, and corporate enterprises. Ruckus Wireless works to create technology that can increase network capacity in order to keep up with the growing demand of wireless and broadband services. Yesterday, Deutsche Bank reiterated their “outperform” rating for American Tower Corporation (AMT). This means the analysts believe that the American Tower Stock is going to do better than the market return. Before Deutsche Bank released their rating, CEO James Taiclet Jr. sold 100,000 shares of the company’s stock in a transaction dated Monday, October 7th. The shares were sold at an average price of $72.73, for a total value of $7,273,000.00. Following the completion of the sale, Taiclet now directly owns 100,041 shares in the company, valued at approximately $7,275,982. You can view the form filed with the Securities and Exchange Commission here. American Tower’s 52-week high is $85.26 and their 52-week low is $67.89. The AMT stock closed at $74.64 yesterday. Analysts at Nomura upgraded American Tower’s rating from “neutral” to “buy” back on September 16th; whereas the analysts at Maquarie boosted the price target from $84 to $88 on September 17th, giving American Tower an “outperform” rating. American Tower released their 2013 Q2 earnings on July 31, 2013. They reported a core growth of 18.1% with a total rental and management revenue growth of 15.7%. The company expects the new business and core organic growth trends to remain favorable due to the carriers deploying networks worldwide. Why Is AT&T Selling Their Towers? When buzz started spreading about Crown Castle International buying AT&T towers, many people may have questioned AT&T’s motive behind this sale. While AT&T’s main focus is providing their customers with exceptional mobile service, they have also taken to constructing cell sites in order to broaden the mobile coverage in many areas across the U.S. So why sell them now? AT&T will be able to take the cash from the sale of its towers (reported to reach around $5 billion) and invest it into expanding their 4G LTE network. AT&T believes that they will generate more revenue through their LTE transition and possible overseas acquisitions than they can by keeping their towers. “With subscriber growth stagnating, AT&T is looking to drive LTE adoption and promoting its Mobile Share data plans at the same time to increase ARPU levels. While shared data plans lock in users by allowing them to add more devices to their service plan, increasing 4G LTE adoption will incentivize the usage of more data-intensive applications and drive data consumption. Further, LTE as a network technology not only supports higher speeds but is also more efficient than current 3G networks at handling data, reducing AT&T’s maintenance and handling costs as LTE usage grows. However, all this will require continued 4G investment to not only increase LTE coverage but also improve network capacity,” Trefis says. While AT&T will continue to build up their 4G LTE network throughout the U.S., they may also look into expanding the network into Europe. Oversees, less than 2% of people are on an LTE connection where as approximately 19% of the American population is on the network. When a natural disaster strikes, whether it’s a hurricane, wildfire, tsunami, or earthquake, they all have devastating repercussions. Among the effects caused by these tragedies are the family members desperately trying to reach their loved ones to see if they were alright. 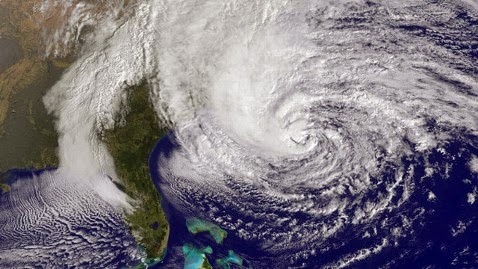 When Hurricane Sandy hit the northeast coast, the FCC reported that nearly 25% of the cell towers had been knocked out. USA Today noted that the limited technology and access to satellite networks inhibited the rescue efforts. The 2010 earthquake in Haiti also showed how not having a well-developed wireless infrastructure can be detrimental. Haitian engineer, Charles-Edouard Denis, spoke with IEEE Spectrum about the impact of the earthquake on Haiti’s cellular infrastructure. “Right after the earthquake, the only company that was still working was Haitel, but its network was quickly overloaded. It remained operational mostly because it utilized almost exclusively 30- to 60-metertowers that are built to withstand hurricanes and earthquakes. Digicel and Comcel were not operational at all, and since between the two they have more than 3 million subscriptions, a lot of people could not communicate,” Denis said. “Most of the people trapped under the rubble were trying to use their phones to call family members to let them know where they were, but the service was not available, and no one came to help them. At a quarter to five in the afternoon, some people were not at work. They left early to either stop at a friend's house or at a supermarket. So family members had a hard time identifying the location of their loved ones and therefore could not help. Since Digicel has more than 2 million subscribers, this lack of telephone service caused a lot of deaths,” Denis explained. Not only is there a need for more spectrum, because the demand for mobile spectrum is surpassing the available supply, there is a need for a stronger wireless infrastructure that is able to withstand strong winds in order to better assist people during natural disasters. Darrell West, director of the center for technology innovation at the Brookings Institution, told USA Today that, “We need to make sure that there are strong backups because mobile has become integral to people's lives, and in a time of disaster sometimes it's their only lifeline to the outside world." TE Connectivity announced that their DAS products are helping Major League Baseball stadium owners and service providers deliver top-notch mobile service to customers during baseball games. TE’s InterReach Spectrum Fusion, and FlexWave Prism DAS products have been deployed at Arlington, Citifield, Target Field and Yankee Stadium. The major wireless carriers along with the tower companies are working together to build up our wireless infrastructure so mobile coverage is easily accessible. 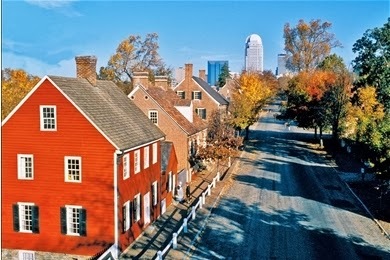 AT&T and American Tower have asked the City-County Planning Board of Winston-Salem, North Carolina to change its ordinance and allow communication towers to be built within residential areas. Members of the wireless industry, such as AT&T and American Tower, are working with cities, states, and federal governments to reduce the restriction companies must face when proposing to build a cell tower in residential and sometimes even commercial areas. Even though it seems that everyone is connected through mobile phones, there are approximately 1 billion people in the world that do not own a cell phone according to Kerry McQueeney of the Daily Mail. This means that wireless services aren’t going anywhere. They will continue to expand until they reach remote parts of the globe connecting people in a way they never thought possible. If you are looking at investment opportunities, you should consider the wireless tower industry. Communication towers are being constructed all over the world, especially in the United States, in order to meet the demand for mobile communication. So much of our daily life takes place online, which many people now access via their cell phones. Without these communications towers, accessing this technology on the go wouldn’t be possible. Tim Beyers of the Daily Finance strongly urges you to invest in American tower. “Analysts see American Tower growing its earnings base by about 25% annually over the next five years,” Beyers notes. It was estimated that there were 6.6 billion mobile phone subscribers worldwide at the end of 2012, and this number has been increasing approximately 9% each year. This trend suggests that the need for mobile broadband and communications is only going to increase. More and more devices, like tablets, are being connected to the 3G and 4G mobile networks in order to access the Internet anytime, anywhere. “I'm not expecting a let-up anytime soon. Why? There's just too much business online. A June study published by eMarketer put total 2013 e-commerce sales at $1.2 trillion for the full year, with emerging markets such as Indonesia experiencing the fastest growth. The entire Asia-Pacific region is on track to produce $388 billion in online sales, up 23% year over year,” Beyers explained. With so much information moving online along with the ability to communicate with people across the world, watch TV, listen to music, and purchase almost anything you could ever want the wireless industry isn’t going anywhere for the time being. The top tower companies in the United States will continue to build up their infrastructure in order to keep up with demand. Inside Towers is happy to announce that our brand new website is up and running. 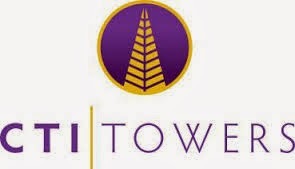 There you can find all the latest news about the tower industry. If you attended the PCIA 2013 Wireless Infrastructure Show in Hollywood, Florida this week make sure to sign up for your FREE subscription with the promo code we provided you. Don't forget about our tower database that will provide you with everything you want to know about tower sites. Inside Tower’s database of tower owners is seamlessly updated to the FCC’s ASR database. It features a user-friendly interface to look up towers and tower owners, and the ability to customize lookups and export the results. Earlier this week, CTI Towers, Inc., announced that they had secured up to $30 million in debt financing and closed its first-part acquisitions, purchasing five towers from a major wireless carrier. CTI Towers, Inc., is a wireless tower operator with more than 800 towers throughout the U.S.
By acquiring these 5 towers, CTI Tower’s continues to grow outside the Comcast portfolio, where a large majority (230) towers came from. The company is looking to secure towers within regions with high-demand for wireless capacity. CTI Towers has already had interest from the major carriers regarding equipment on the towers to bring their customers better service. The towers CTI Towers acquired are located in North Carolina, South Carolina, Ohio, Mississippi, and Pennsylvania. With the demand for mobile increasing dramatically, it’s becoming necessary to expand our wireless infrastructure to deal with these capacity demands. Will We See You in 2014? Earlier this week, hundreds of people across the United States and even a few from across the pond visited Hollywood, Florida to attend the PCIA’s 2013 Wireless Infrastructure Show. Our team at Inside Towers had a great time, learning a lot about what’s going on within the industry and meeting some wonderful people. The Wireless Infrastructure Association, announced that the Wireless Infrastructure Show, the premier industry event focusing on the companies, equipment and technologies that enable next-generation wireless, will move to the spring beginning in 2014. The event will take place May 19-22, 2014 at the Rosen Shingle Creek Resort in Orlando, Florida. We hope to see you all there to talk more about the issues and trends facing the wireless industry. “The Wireless Infrastructure Show continues to grow in size and scope, reflecting the increasingly broad array of businesses that are active in expanding wireless networks—from carriers and OEMs to chip manufacturers, Wi-Fi providers and end-users. We are committed to doing whatever it takes to maintain that growth by providing an unparalleled opportunity for industry players to connect at a meaningful, world-class springtime event,” said Jonathan Adelstein, PCIA President & Chief Executive Officer. FCC Shutdown: What Does This Mean For You?